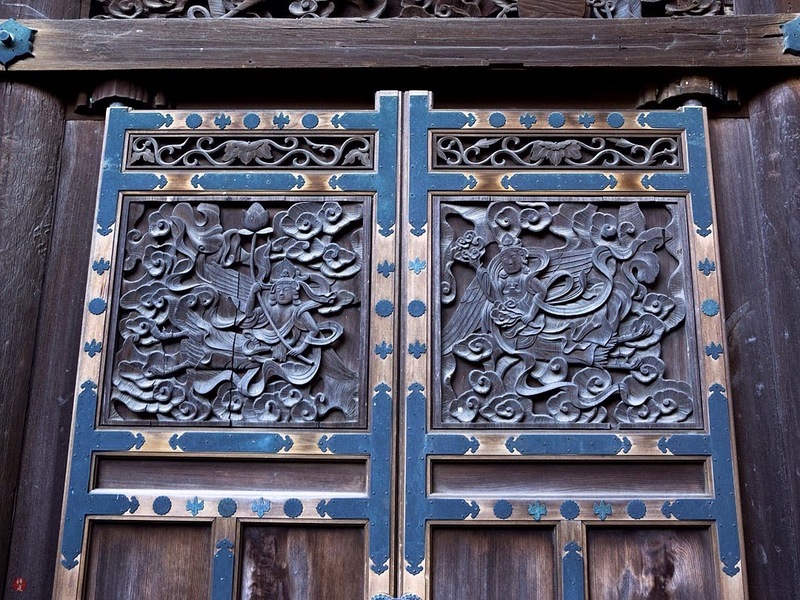 This carved wooden doors belong to the small antique shrine called "Tenzui-ji jyuto ooidou," which was built in Kyoto by Toyotomi Hideyoshi as a resting place for his mother in 1591. This shrine was relocated to Sankei-en garden (Yokohama, Japan) in 1901. 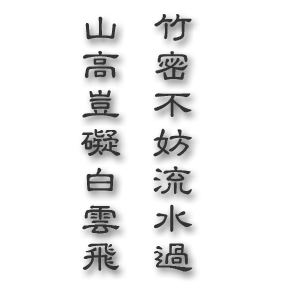 Sankei-en was the private garden designed and built by Tomitaro (Sankei) Hara (1868–1939), who was one of the most successful merchants and one of the most elaborate collectors of Japanese fine arts at that time. 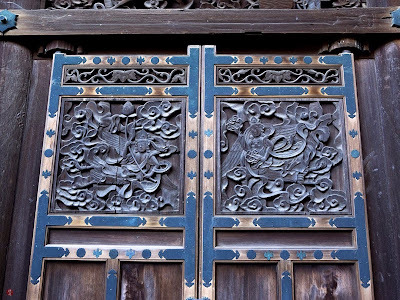 The heavenly maiden-like creatures in the auspicious clouds, which are carved on these wood panels, are called "Karyobinga." Karyobinga is an imaginary bird in paradise that sings sweet notes, according to Buddhist sutras.